We are happy to announce and share these updates to the free tools and newsletter from Profits Plus. As we have been expanding Profits Plus over the past 20 years, we have found that we need some changes for us to remain relevant to all of our audience. As we created these changes we found a pleasant uniqueness in this branding. We now would have Conversations, Advisories, and News; the first letter of each spells CAN as in Small Business can! We know you can achieve whatever you are willing to dedicate your time and effort to in your small business because you are an entrepreneur. Small Business Conversations is the new name for what has been the e-retailer conversations. 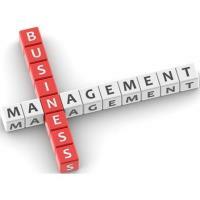 Each month we find an expert in an area of management in our businesses. This expert gives an evening of their time to visit and share. We invite you to join us in the program by sending your questions that we put before the expert. You can listen by dialing the toll free number or by way of the link in the invitation you receive by e-mail. Small Business Advisories, which also happen to be our feature Internet tool of the month for March, are a series of short monthly articles with quick tips, information and advise for your business. You can receive these by following the "Small Business Advisories" link in the Internet tool section below, or by visiting the Profits Plus website. Small Business News is the new name for our newsletter which for the past 19 years has been the e-retailer. Each month we share some news, a book suggestion, an article on business management, a free tool from the Profits Plus website, and an idea for a staff incentive. This arrives in your email on the first day of every month. Don't be surprised if you occasionally see the old logos on the Profits Plus website. They will take you to the right place; it is just that it is taking a while to make all the changes. Each spring we find it appropriate to remind you of a valuable tool that you can access within your state. The tool is called the, Small Business Development Center. This is an organization I had heard of for many years, but also I did not know enough about. Your SBDC has some wonderful counselors available to help you and your business. Many of the SBDCs have courses, both live and online, available to you. Their services are available for the person who is thinking of starting a new business and wants to learn more. The SBDC is also for the seasoned small business owner who is looking for some additional input. Many businesses have a spike in sales in certain categories of their business each spring. Those of you in the garden center and landscaping business, this is your time of year to make a big splash so that 2018 is a great year. The bicycle industry is also ramping up. All kinds of businesses see a spike in sales because being outdoors is now an option for more people. The article for March gives multiple areas of your business where you should be giving extra attention to. Let's help people make their way to your business, and your website, to make their purchases. With all the changes starting this month at Profits Plus, we thought we would take the book of the month suggestion in a different direction as well. The Road to Character by David Brooks is a call to self-examination by way of his examination of others. My experience has been that small business owners can benefit from an occasional call to slow down, take a deep breath and relax; it is a "smelling of the roses". We hope you enjoy this month's suggestion. Each month we distribute a short advisory article to many associations, chambers of commerce, and Main Street programs for use on their website or in their publications. This is a great read if one or more of the organizations you are a member of is utilizing the service. If not, you miss out. With the changes to the Profits Plus website, we are now making the Small Business Advisories available to everyone. We distribute one by email in the middle of the month. Follow the link below to sign up to receive them. Having already spent four weeks on the road this year, getting to visit many of you at trade shows, conferences, and education days, I saw at many of these events a booth where chair massages were being offered. Some were for a nominal cost while others were provided at a vendor's booth as a way of incentivizing a person to visit the booth. What if you were to find someone in your community offering chair massages? We anticipate you could negotiate a price for the masseuse to come to your business to provide this service for all of your staff. We expect the experience would be a reason for conversation among your staff for many days to come. We want to recognize A Carrot A Day by Adrian Gostick and Chester Elton, whose book provides the basis for each month's incentive idea.